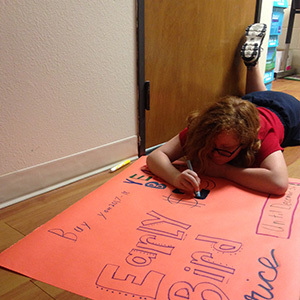 Middle Schoolers help make signs for a used book sale. Every middle school student is required to perform twelve service hours each trimester. This time provides students an opportunity to bless others and give back to his/her church, community, CCS, or other organizations. A Christian Service Hour form can be found in the school office.